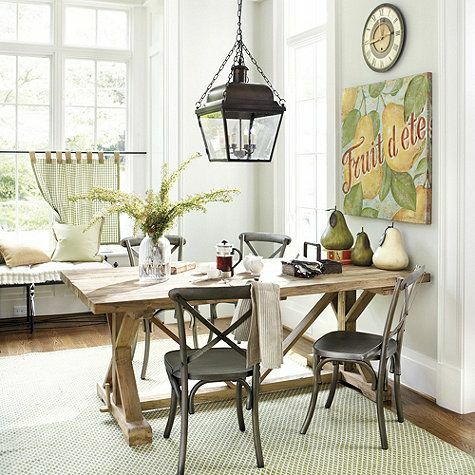 I've been searching for a new table and chairs for my breakfast room for several months. You may have noticed my black table with the mahogany top. This is the best picture I have of it. It's always been too big for this space, but it was the smallest table I could find that would fit our family of five at the time. Not only was the size wrong, but the chairs have become really unstable and the finish has taken a beating. My kids are a bit older so I'm ready for a better quality table, but accidents happen daily around this house. It can't be so expensive that I will have a heart attack if it gets damaged. I really took my time and casually looked around the last few months. 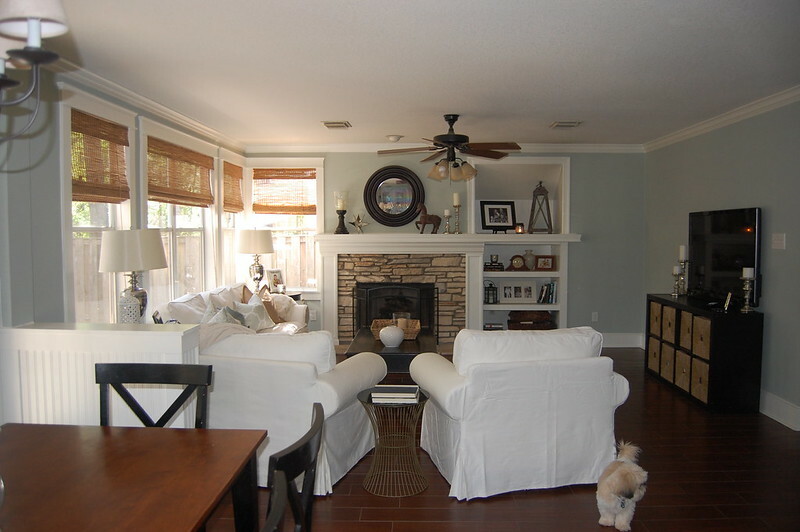 I also pinned several images for inspiration and I was surprised I'm leaning toward a cottage style since I just finished my transitional master bedroom. Here are some of my favorites. I love the upholstered seats and rugs, but it's not really feasible with kids. 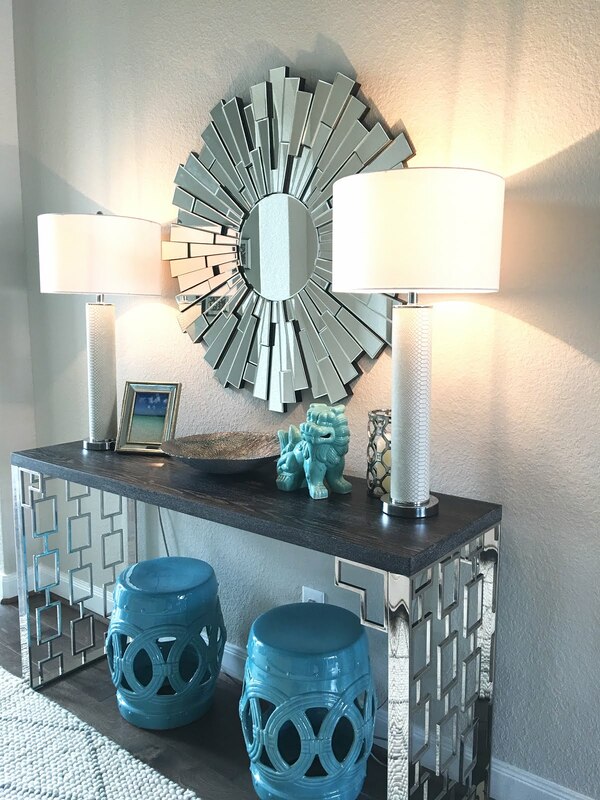 I also like mixing the finishes of the tables and chairs. After searching for a reasonable priced round table, I found Pier 1 has the best selection. If you pick it up at the store there is no delivery charge and it took less than a week to come in after placing my order. I decided on the Ronan pedestal extension table instead, which is a bit more expensive. It's an off-white, which is perfect since my kitchen cabinets are not bright white. Here it is with the leaf in it, which is too big for my breakfast room. It's nice to have the option to make it bigger in case we need the room or we move to a home with a bigger breakfast room. Don't worry, I'm not planning on moving. Remodeling this house has exhausted me! Here it is in my breakfast room! I was surprised to find that I could comfortably fit five chairs around it. I initially planned on just putting four chairs with it, which isn't a big deal since we rarely sit down as a family at the same time. My husband and I prefer to wait for the kids to finish eating before we sit down so we can have peace and semi-quiet. But, when my kindergartner came home from school he counted the chairs and counted the people in our family on his little hands and looked really confused. After a moment, he wanted to know where his oldest brother is going to sit, lol. I pulled another chair up to the table to make him feel better. 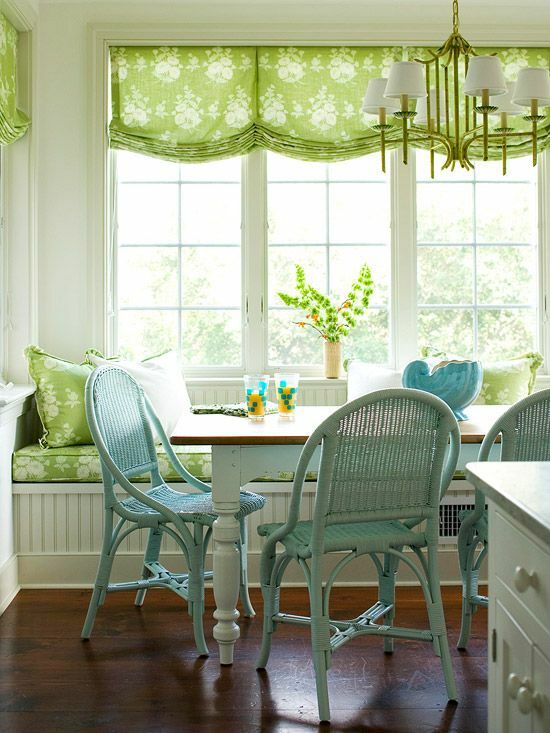 I'm leaning towards these chairs from World Market. I love the French bistro style chairs, but these are the only ones I've seen without a woven seat. We've had woven seats and they do not hold up with kids. These are extremely popular though and were sold out when I went to the store last week, but I just received a phone call last night that they are back in stock. I've got to make a decision fast before they sell out again. I hope to have an update for you soon! Looks great! 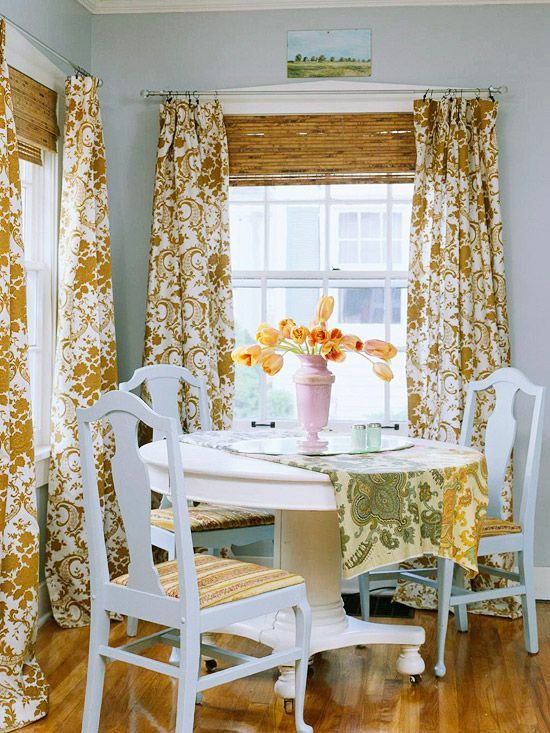 I love the first picture with the long drapes around the table. Can you imagine how filthy those would get with the kids right now?! I would love to add longer panels after they get a bit older and the baby stops throwing food to the dogs. I think that table is a great choice! The table is beautiful! I've been thinking about painting my kitchen table white, you're giving me a little push to go on that direction ;) I think those chairs would go perfectly well. I love all of your inspiration pics. 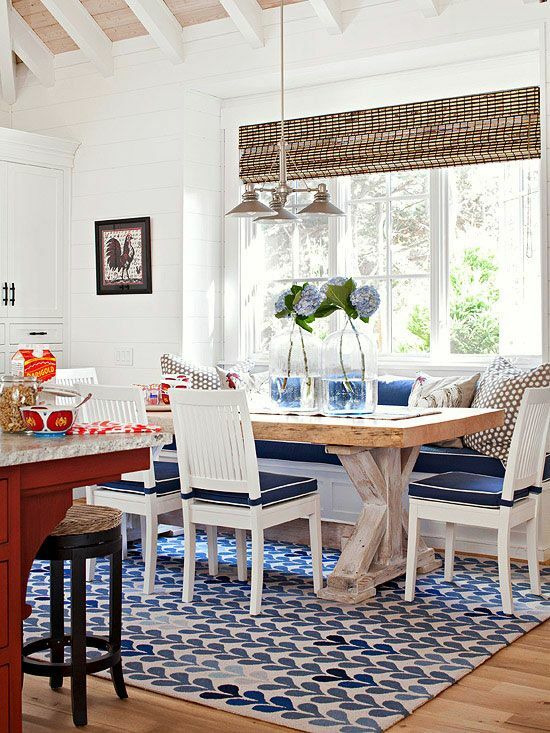 Love a cottage table. Great choice.... and I love anything white! How did the Ronan table hold up? Did you have anything on top of it to protect it? I'm thinking about purchasing it and am trying to determine if I will need a glass topper. Thanks! !